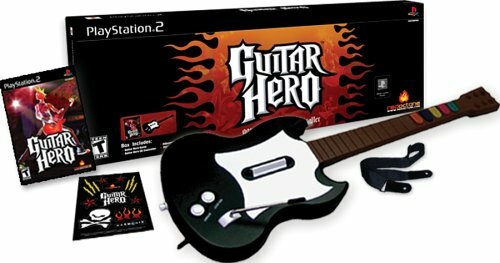 Without a doubt the very best game/toy for the 2005 holiday season is Guitar Hero. This PlayStation 2 game is bundled with an electric "guitar" input that allows you to karaoke on to your heart's content. You can play the guitar (no musical knowledge required) in quick play mode, or work through songs progressively to unlock new songs, skins, and guitars. We are spellbound. This game rocks. Buy on Amazon.com now!